What are the undergraduate programs offered by LISAADelhi? Duration of Fashion Design and Graphic Design programs is 3 years and Interior Design is 4 years. What is the eligibility for the undergraduate programs? Students from any stream(Science, Commerce & Humanities)who have appeared or passed the Senior Secondary School Examination or equivalent, 1o+2from any board, are eligible to apply. Step 3:Selected students are required to deposit Rs. 6oooo/-as registration fee. The same is adjustable in the first year fee. Explain the LISAA CAT exam? 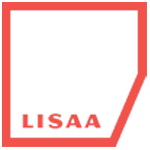 The objective of LISAA CAT is to evaluate students aptitude, career focus and creativity. A set of indicative questions is available on the LISAAs website for reference purposes. What is the difference between online and offline exam? In the online exam, the applicant can appear for the test from home or any other place.It is a time bound test. In the offline exam, the applicant is required to visit the campus on a pre-assigned date. How can I apply and where can I find the application form? What is the recognition/validation of programs offered by LISAADelhi? What are the exam schedule/assessment criteria? Students are assessed by way of mid-term and end-term Jury held in the months of December and May respectively. The jury includes senior faculty members and experts from the respective industry. Payment of all fee dues. There will be tutorial classes for 22-29 hours per week. The weekly timetable will be shared on the day of the orientation. What kind of faculty will be teaching? We have a mix of Indian as well as International faculty members who come with rich industry experience and sound academic background. All our faculty members are trained by our French Education Director and follow the curriculum as laid down by LISAA France. Our curriculum, therefore, is internationally recognized and accepted worldwide. Does LISAA Delhi provide any Scholarship or Discount? Scholarships are available under two categories-Merit based(Performance in Class XII/LISAACAT Exam/NIFT/NID scores)andNeed based(Dependent on annual family income being less than 5Lacs), Tho scholarship value Is up-to Rs, 25ooo/for the first year and is extended to the following years based on annual performance of the student. A 5% discount on tuition fee is available for one-time payment in full. What are the fee payment options? What is the procedure for bank loans? What is the number of seats per program? The program will commence from the3rd week of August. Early bird discount will be given to those students who will book their seats before April 2019 by paying Rs. 6oooo/-. We have a limited number of 15 seats for early bird discount. In this discount, 3ok will be waived off from the total fee of Rs 2.51 Lac (applicable first year only) which means their actual fee will be 2.21 Lac for the FIRST YEAR only.